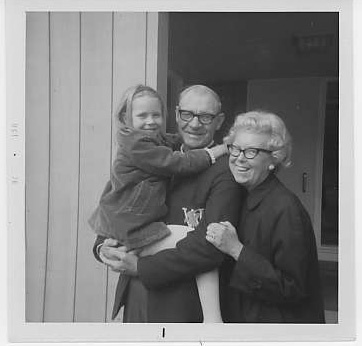 When I was a kid, I would spend every 4th of July in Narrangansett, RI with my grandparents. Just me and Mimi and Grandy. It was idyllic. Not just the romanticizing of childhood that can happen with sepia toned memories, but truly perfection…and unconditional love. Lots of that. It took me a long time to figure out why I get so emotional about fireworks (they’re magical to me) and an even longer time to consciously “get” why the 4th of July is such a big deal to me. 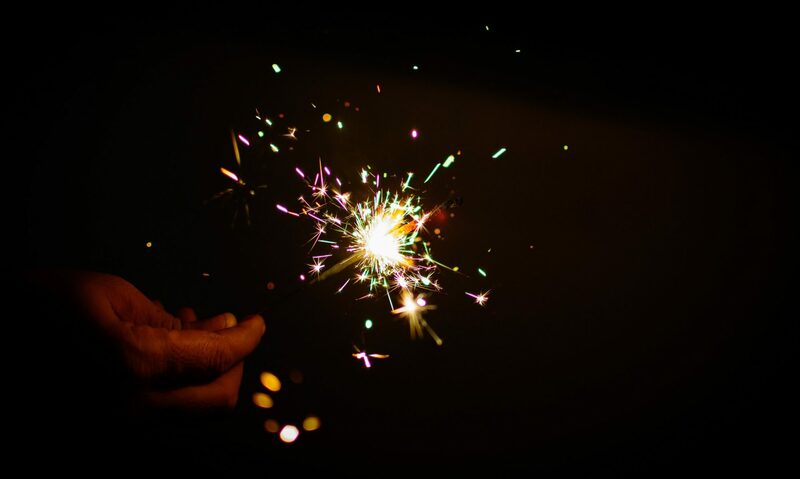 I love gathering friends together and burning sparklers, kids running around like crazy, sweet treats and later…fireworks in the black night. 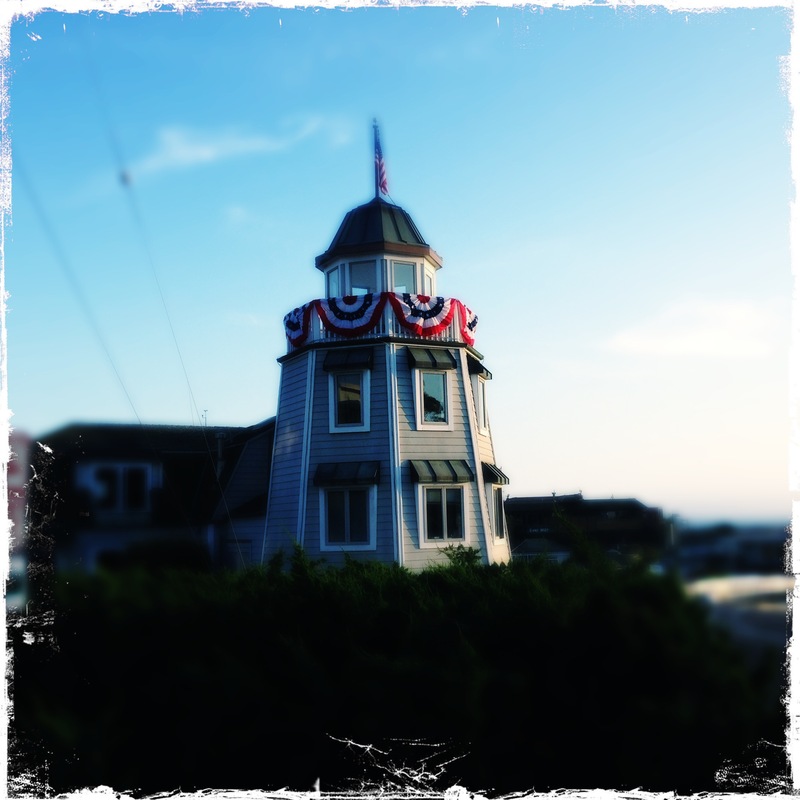 I’m embarrassed to tell you that it wasn’t until a few years back, with the help of my husband who gently pieced it together for me, that 4th of July goes hand in hand with happier times in an often grim childhood spent with alcholhic parents. This is one holiday I don’t have a single memory of alcohol crashing in like an unwelcomed guest. 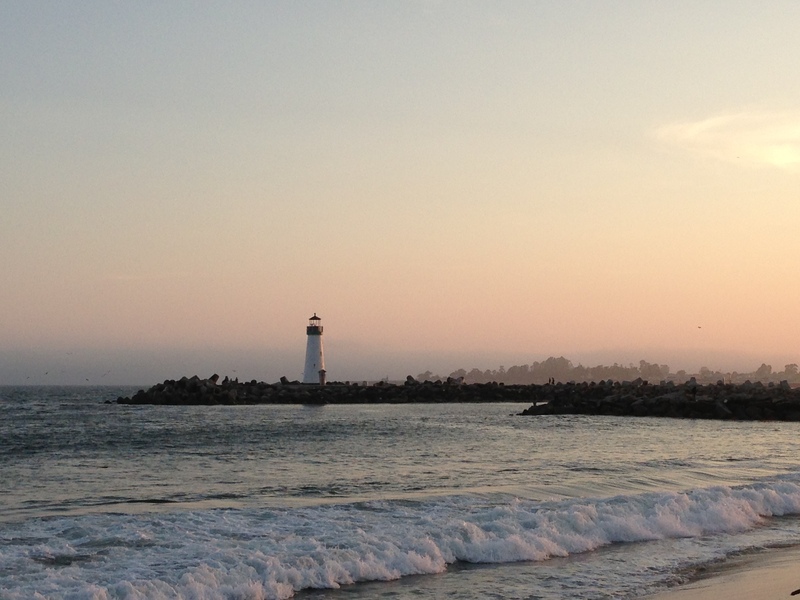 For the past 3 years Andy and I have been spending the 4th in Santa Cruz, a beach town in California. The thrill of spending this holiday at the ocean is beyond description. The part of my brain that holds all the sensory memories of summer gets stirred and a peace and joy comes over me. Salty air, sunburned skin, charcoal fires, music playing, the occasional loud ‘POP!’ down the street from a clandestine fire cracker, the holiday goers lugging their coolers and cranky babes, the locals sitting outside Deke’s Market, playing ukeleles…all of it weaves an old familiar tale with new traditions. My daughter is backpacking in the mountains of Colorado, my son is in Europe on a cruise with his dad. Both unreachable by phone or email. But my step-daughter arrived today for her first experience of 4th of July, California style. Andy and I sat on the shore and watched her step into the ocean… uncertainly at first, then more and more sure of herself. Soon she was was out past the breakers. As the sun tried to burn through the fog, I had a vision of my grandparents watching me in the waves years ago: “Don’t go out too far Zan!” Mimi would call and I would laugh. I’m filled with gratitude for the all the love my grandparents showered on a growing girl that needed it. Grateful that they can live on in my heart for as long as I do. Concentric circles of love rippling out and lapping at other’s hearts like gentle waves. I miss you guys so much. And was and continue to be so lucky that I was loved by you.